The new Samsung Galaxy A series is reported to have passed the FCC laboratories and to have now reached a new position, not too far from the commercialization. 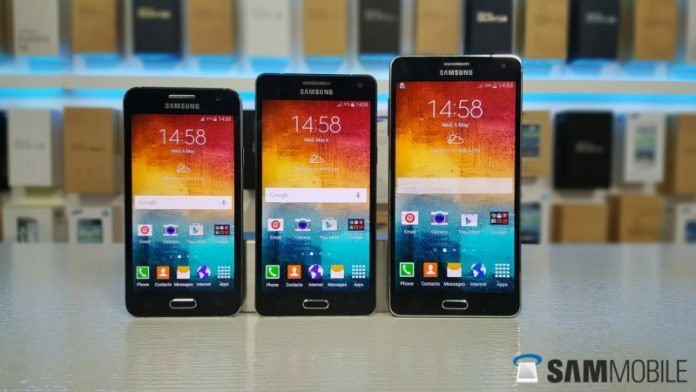 Samsung Galaxy A3, A5, A7 second edition will replace the previous generation of middle range Samsung’s smartphones and now we can tell you some of the specs. Samsung has used on this phone the new generation of Exynos 7 in different versions of the single smartphones. Samsung Galaxy A3 (SM-A310F/Dual-Sim) uses an Exynos 7 7580, Quad core 1.5 Ghz with a Mali T720 GPU and 1.5 GB of DDR3 Ram. In terms of display, Galaxy A3 uses an HD 1280 x 720 Super Amoled Display that is able to show super bright and clear images, similar to the flagship phones of this year. Other specs say that there will be 16 GB of internal storage, a 13MP rear facing camera and a 5MP front camera for optimal selfie. Samsung Pay will be one of the killer features of this phone, probably samsung will launch a Dual Sim version of this version, removing NFC and inserting a MST chip (Magnetic Secure Transmission). Samsung Galaxy A5 (SM-A5100) has similar specs to the Galaxy A3, but the display is bigger, with a 5.2-inch full-HD 1080 x 1920 Super Amoled matrix. Even this version uses the Mali T720 GPU but we actually don’t know the CPU details (probably is using the same Exynos 7580 found on the Galaxy A3). The battery on this phone is bigger than the old Galaxy A5, it will feature a 2900mAh battery (instead of 2300 mAh). Regarding the new Samsung Galaxy A7 (SM-A710), at the moment we do not know the specs for this version because FCC decided to be much more closer to the presentation of this phones and it hasn’t specified anything about the phone. Only two of the new Samsung’s Galaxy A Phones have passed the certification, we aspect to see even the other Samsung Galaxy A7 specs and is only a question of time before the official presentation of these new smartphones.